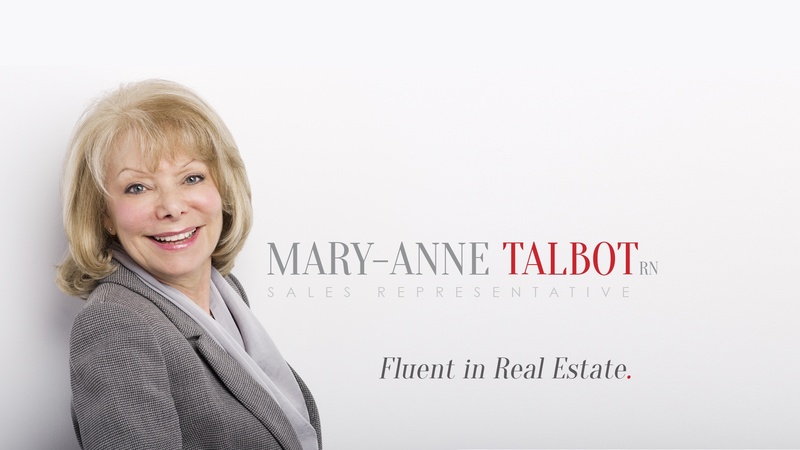 Mary-Anne Talbot is a full-time real estate professional. Active in real estate for over 18 years, in the Greater Toronto & surrounding areas, Mary-Anne specializes in the sale and marketing of both resale and new homes and condominiums. Mary-Anne’s clients represent first time buyers to more established buyers and sellers. Using strong negotiating skills, knowledge and resources, she works on a one to one basis to achieve her client’s dreams and goals. Recently, Mary-Anne has received many Award designations by her real estate colleagues for her outstanding level of achievement in recognition of her service to her clients. As well, Mary-Anne is a founding member of the Patient and Family Advisory Committee of the Marvelle Koffler Breast Centre in Toronto. Mary-Anne is a Registered Nurse with the Ontario College of Nurses and taught nursing for both Seneca College & Centennial College. Mary-Anne has lived in the Toronto area all of her life and she understands the needs of families. She has a great awareness of the services, including schools, community facilities and retail in the areas she serves and is able to advise her clients of the benefits of living in a particular area. "You were a huge help in searching for our home. I know we saw a number of places until we Narrowed down the search. Thank you for being so patient with us. Your advice on the purchase was absolutely right. We could not have worked with a better agent." "Thank you so much for all your work finding our new house. We are so happy with our new house. It is perfect for us. The garden is fantastic with all the perennials out in bloom! We are enjoying the big backyard to play in." "I am fortunate to have had Mary-Anne on our side with selling and buying. Most importantly, I now have a dear, close friend that I would highly recommend to handle any type of real estate transactions. She makes these stressful situations as calm as they can be and still has you coming out ahead of the game." "Mary-Anne is a very dedicated person and she goes the extra mile on every project. She is just a telephone call away and handles all situations with professionalism. I would highly recommend Mary-Anne as I know from experience what a nice person she is and very honest. She tells things as they are and does not steer you in the wrong direction. She treats you like family and that means a lot these days." "We would like to thank you for the lovely home you helped us to find. We appreciate greatly your efforts and patience during the search. It was a pleasant house hunting. We would definitely use your service for our next house in Toronto and would be pleased to recommend you as a real estate specialist." "I want to thank you for your very pleasant and enthusiastic attitude that has been omnipresent in everything since you originally showed the house to the 'Newlyweds'. Your dedication to your clients and the effort/time that you offered to them was very apparent. You can assure your clients that I will do everything I can to facilitate the transition from being new home buyers to moving into their new home." "This is to thank you for your patience and professionalism in handling the sale of our house. We hope to have the opportunity to work with you in the future. Looking forward to seeing you in Washington soon. We may be back in town in 2-3 weeks."